ATHLETICS: Avril Deegan traveled to Belfast as part of an Irish Under 23 team recently to run the renowned Celtic International Cross Country Race. Avril ran a great race coming fourth behind Wales in First position and Scotland in Second and Third places. 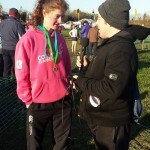 Avril was the First Irish girl to score and was instrumental in Ireland receiving team silver – a most well deserved international medal for Avril. Avril then traveled to Portugal for a weeks training with fellow DCU athletes returning just in time to commence the indoor season in Athlone. 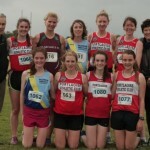 Avril ran in the under 23s, 800m race finishing Third with a new PB time. This was a great achievement for Avril, as an endurance, long distance runner to medal in what was a very fast short distance race. 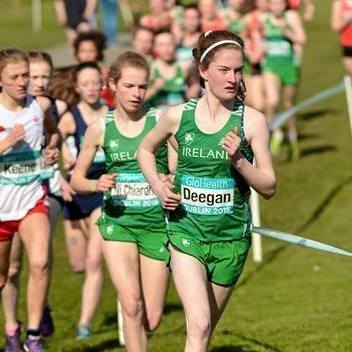 Next up for Avril is the National Universities Indoors in Athlone on Friday next where Avril will represent DCU in the 3km race. We wish her continued success!